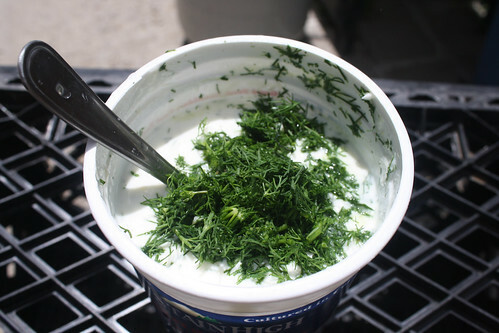 Tzatziki Sauce – Chef Tom Cooks ! This flavorful Greek sauce is extremely easy to make and is great as a dip or a topping for chicken or gyros. Season with 1/2 teaspoon salt and 1/4 teaspoon pepper. Stir well, then place in the refrigerator until ready to serve.